Roommates create a unique relationship dynamic, and it can be pretty exhausting. Sometimes you get along and other times your personalities clash. Whether it’s living with your best college buddies or moving in with a complete stranger, you tend to learn a lot about people when you have to share a place with them. You can quickly learn who you can stomach, and when it’s best to just live on your own. People who send passive-aggressive notes or who just don’t care about cleaning can be the absolute worst. 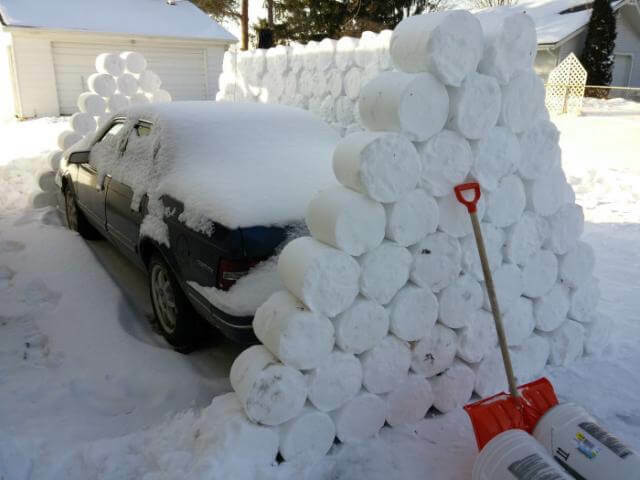 A prank like this one can make your daily chores just fly by. If you have a roommate who likes to sleep in, this is a great way to completely ruin their day. You sure better hope it’s not the car of the homeowner who’s kind of enough to rent a room to you.